Heat oven to 350°F and grease a standard muffin pan. Melt butter in a skillet over medium heat and add onions. Cook about 5 minutes. Add the mushrooms and cook another 5 minutes until mushrooms have released their liquid. Remove from heat. Let cool slightly. Beat together the eggs, milk, nutmeg, salt, and pepper, then stir in the onion/mushroom mixture and spinach. Make sure to break up the clumps of spinach. 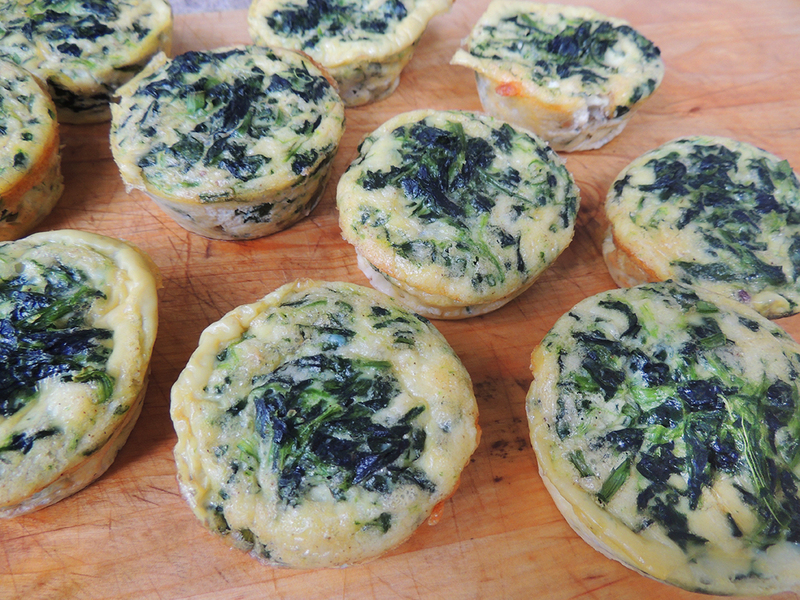 Evenly distribute the grated cheese into each muffin cup and pour eggs over the cheese. Bake for 20 minutes or until set.